Sandy Schoeneich is an Associate Licensed Marriage and Family Therapist that provides individual, couple, and family therapy. She specializes in working with individuals that may be experiencing a wide range of mental health concerns, including anxiety, depression, mood disorders, self-esteem and identity issues, sexuality, relationship issues, life transitions, stress management, and trauma. When working with couples and families, she utilizes emotion-focused and integrated therapies to help the client achieve healthier functioning and healing. Sandy strives to provide a safe and trustworthy therapeutic environment for each client. She believes that one of the key factors in her clients’ success is to set a strong foundation for the therapeutic relationship. She does this by demonstrating genuine care and curiosity for each client’s story, and engages them in a collaborative and nonjudgmental dialogue. As the therapeutic relationship develops, Sandy focuses on aligning with the client and gaining a clear understanding of what the client wants to achieve during therapy. She collaborates with the client in creating goals that fit their needs and lifestyle. Sandy knows that therapy can be difficult and uncomfortable at times, so she strives to assure her clients that she is alongside them through their entire process. 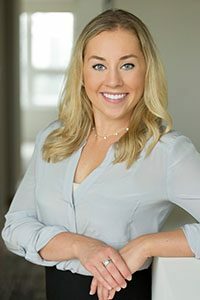 She utilizes a strengths-based approach to highlight each person’s innate ability to succeed and overcome obstacles, and helps clients make new meaning out of their life circumstances in a positive way. Sandy received her Master’s Degree in Couple and Family Therapy from the Adler School of Professional Psychology, and her Bachelor of Arts Degree in Psychology from DePaul University. She has completed the prerequisite training for Emotionally Focused Couples Therapy (EFCT) and plans to further pursue the certification for this therapy. She has previously worked in private practice and at a child welfare and family agency.